Manchester United forward Anthony Martial’s future has come under speculation in recent weeks, and latest reports have stated that Inter Milan are keen on bringing the 21-year-old to San Siro this summer. Martial had an impressive debut season under former United manager Louis van Gaal, in which he scored a tally of 17 goals. But since the arrival of Jose Mourinho, the Frenchman has endured a difficult life with the Red Devils, scoring just 8 goals in 42 appearances in the previous campaign. The wonderkid from AS Monaco became the most expensive teenager in the world when United splashed £36 million to bring him to Old Trafford, but Mourinho could let him go this summer if he gets a good offer in return. With Inter Milan already eyeing Martial, and United wanting to capture Ivan Perisic, many reports have emerged suggesting that the France international might be involved in the deal. And Martial’s cousin, Jamael Martial, who goes by ‘@JemaMtl_22 on’ Twitter, posted an update confirming the links to Inter. 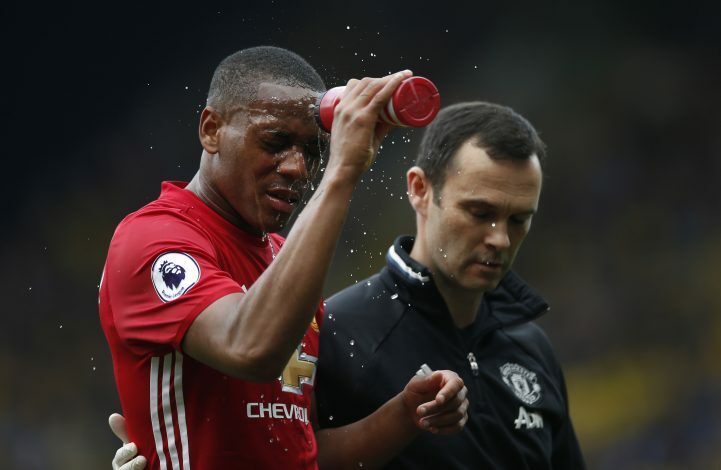 It was claimed by his cousin, who is also a journalist, that the Italian giants were interested in Martial. However, the forward is currently focusing primarily on his future with the Premier League club, and the ongoing the pre-season tour of the United States. Despite Martial’s struggles last term, however, Jose Mourinho reportedly believes that the talented starlet could very well turn out to be a star player in the coming years.